The BlackBerry KEYone is the latest addition to the company’s smartphones that are running Google’s Android platform and its solid construction shows that the device features a blend of materials that make the handset appealing and durable. However, there is still one little problem that will seriously damage the durability score of the KEYone and you will find that out shortly during the latest scratch, burn, and bend test of the smartphone. JerryRigEverything got his hands on the latest BlackBerry KEYone and he does what he does best; performing scratch and bend tests on smartphones. He claims that he’s tested over 70 different smartphones and only a few of them have been placed on this ‘shelf of shame’. His ‘shelf of shame’ comprises of handsets that miserably failed his version of bend tests, which include the Nexus 6P, Nextbit Robin, and Xiaomi Mi5 to name a few. Now, he can add another phone to the list. 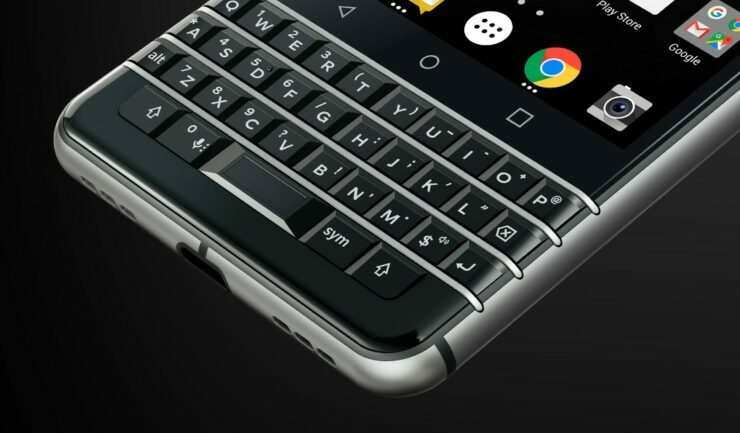 After performing some tests on the BlackBerry KEYone, he states that the smartphone has been constructed really well and the metal body will give it some much-needed weight and structural integrity. However, where the smartphone catastrophically fails is when Zach decides to apply a lot of bending force on it, and it pops the display right off. According to Zach, the display also stopped responding, which is tantamount to the phones that were bent in half that have been mentioned above. While this is something to be concerned about, and durability is one of the important factors that you should look for in a smartphone, there are some things that BlackBerry definitely missed with the KEYone, and that is failing to apply adhesive to keep the screen held together firmly. Just a reminder, if you do plan on purchasing this device, then it is important that a high amount of pressure is not applied, especially where the screen is present because we honestly doubt that BlackBerry’s customer support is going to entertain a warranty replacement. Did you enjoy the scratch, burn, and bend test? Tell us your thoughts down in the comments.